economic costs of climate change vs election results in the United States. 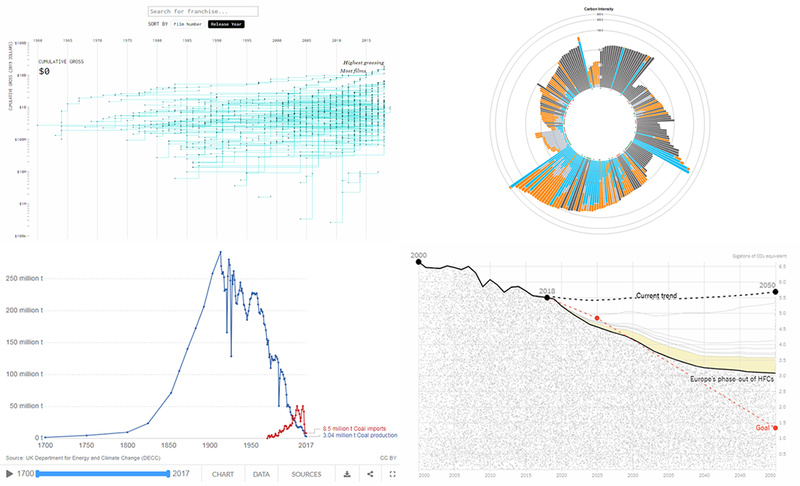 In the new DataViz Weekly post, we highlight interesting interactive data visualizations that have come to our attention this week. 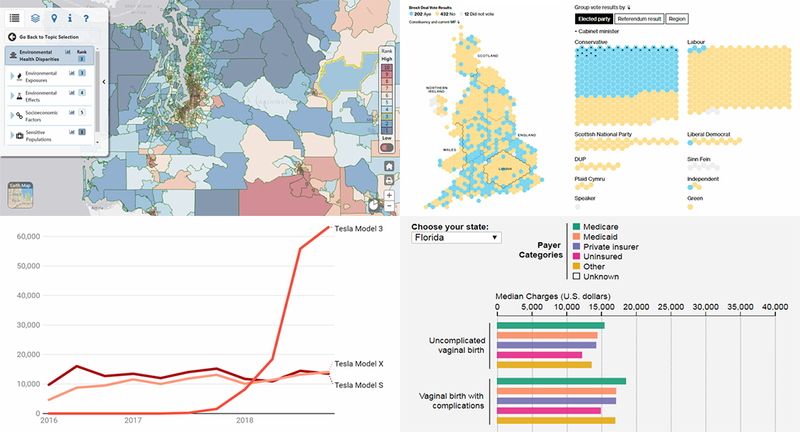 Take a look at charts showing details about Tesla sales, Brexit vote in the British Parliament, birth charges in American hospitals, and environmental health disparities in the Washington state. 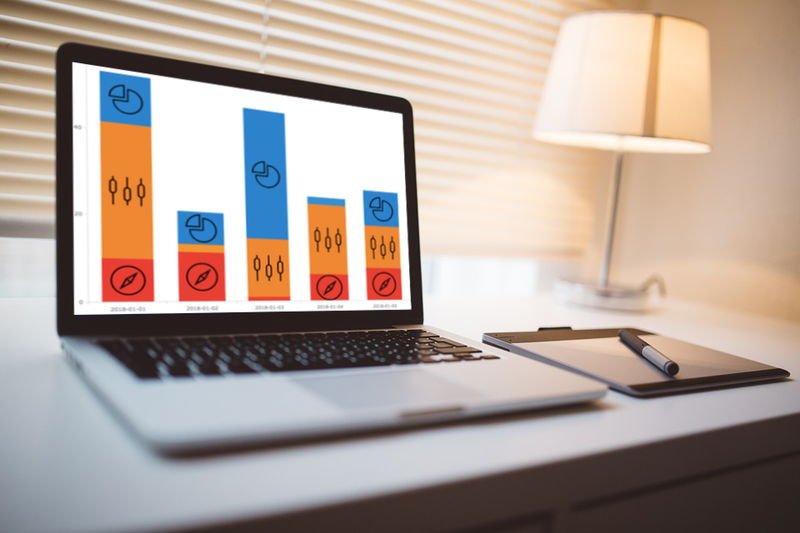 Take a look at some of the cool data visualization examples that appeared on the web just recently! 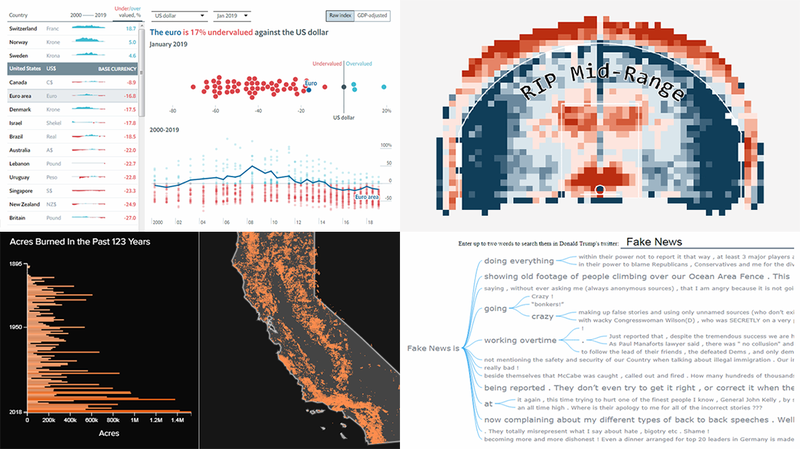 The new article in the DataViz Weekly series features interesting, inspiring projects about words in Trump tweets, destiny of mid-range shots in NBA games, relative value of the world currencies according to the latest Big Mac Index data, and 100+ years of wildfires in California. Also, don’t miss out on an exciting news in the concluding part. 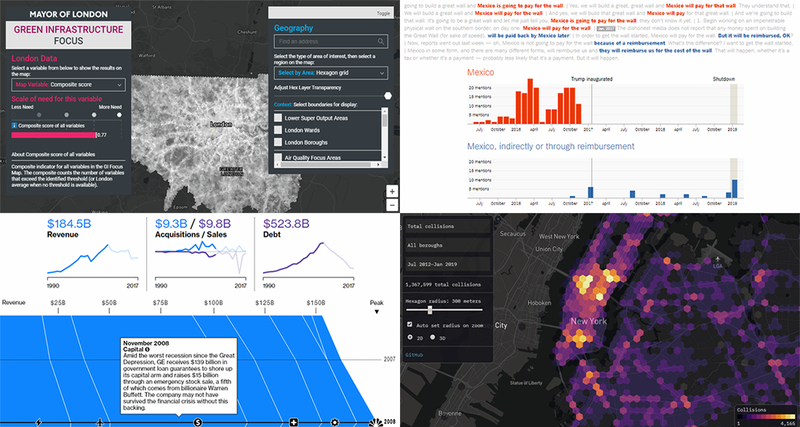 Check out some more interesting visualizations in cool data stories and reports from the last year. 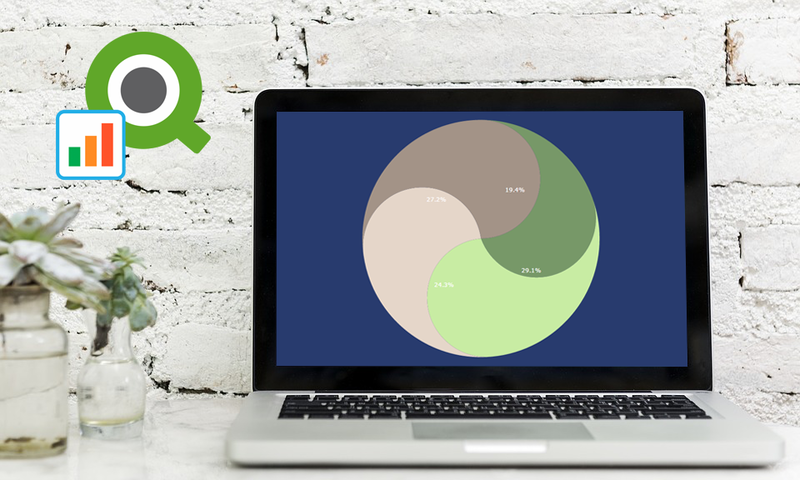 We’ve never put them on DataViz Weekly, but now is still a good time to do that. 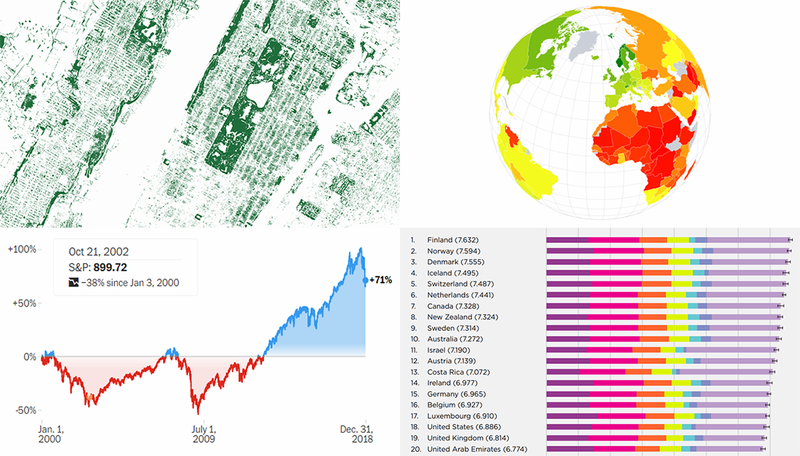 Today, we are glad to feature nice projects about happiness and prosperity around the world, as well as about stock market volatility and mapping tree canopy. Happy New Year, everyone! 2019 is already here. But while we still feel the proximity of the last year, let’s take another look back. 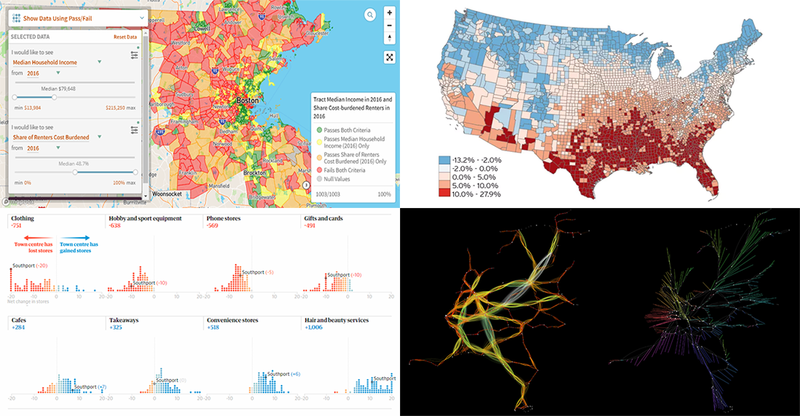 2018 brought us numerous interesting visual stories based on data and graphics. 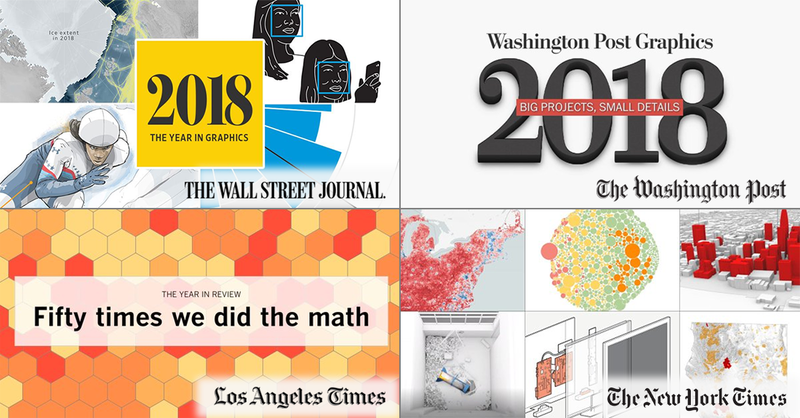 For this year’s first DataViz Weekly, we’ve put together year-in-review projects of the graphics teams at four leading media publications in the U.S. (we are a U.S. based company, right): The Wall Street Journal, The New York Times, The L.A. Times, and The Washington Post. Check out some of the key facts, trends, and findings of 2018 in their top picks.